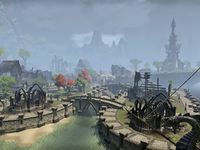 Greenwater Cove is a town in northern Auridon, due south of the city of Firsthold. The town is currently under attack by Maormer. 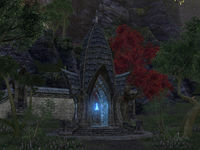 An ancient Aldmeri device supposedly is hidden in the town, and may be the key to defending it. Greenwater Cove Objective: Help activate a defensive device to protect Greenwater Cove. Greenwater Wayshrine is located northwest of Greenwater Cove. This page was last modified on 26 November 2018, at 03:58.